Over the past year or so, Google has changed the rules of SEO pretty profoundly with a pair of black-and-white updates: first Panda, then Penguin. There’s a lot of buzz around Detroit about people’s sites suddenly plummeting down the Search Engine Results Pages (SERPs) because of the rules changes — and of course it’s Google, so nothing is ever simple. Each of the big-name updates has had dozens of tweaks that occurred after the fact — Penguin is still being adjusted even today. Google claims that the names of these updates has no real meaning, but it seems to me like too much of a coincidence that both animals are black and white, and both updates serve the same purpose: to divide SEO and web design practices into black and white. Panda was the content-focused update. Before Panda, content mills dominated the Web by collecting millions of pages of crappy content under one umbrella. AssociatedContent, EzineArticles, About.com, on so on could be found on the first page of 60% of searches (that’s a lot.) Panda invoked a whole bunch of rules designed to make the end-user’s experience better by penalizing practices that made web pages more annoying. For example, before Panda, advertisements were basically ignored as ‘not part of the content’. After Panda, any advertisements that interrupted the flow of an article basically nuked your SERP position. EzineArticles.com, which used to make thousands of dollars a month from their AdSense ads embedded in every article, actually completely removed the AdSense from their website. Penguin was the SEO-focused update. Before Penguin, it was relatively easy to get ranked for low-competition keywords by using a link network like BuildMyRank or by submitting your website to a plethora of low-value sites that could be easily accessed through an automated daemon. After Penguin, links from sites that had lots of outgoing links and not that many visitors (read: virtually every web directory, link network, and crappy article or video portal) were strongly devalued. The obvious example is BuildMyRank. BMR was one of the strongest link networks online, with hundreds of thousands of participants. 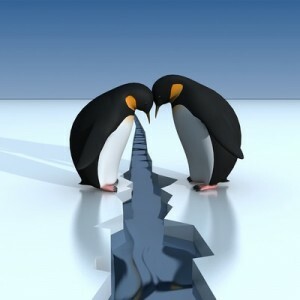 The day Penguin hit, every single page of BMR was deindexed, and it’s value was obliterated. They shut down forever 48 hours later. Proper web design and SEO still wins out after all of Google’s changes. In fact, many of Detroit’s SEO companies are pleased as punch about the updates, because they make “real” SEO more competitive and more valuable by devaluing some of the most common grey-hat practices. Many people come to SEO experts looking for ‘tricks’, but Google has made it clear time and time again: creating quality content and building honest backlinks will always work. Which precise practices are considered ‘white hat’ may change (would you believe there was once a time when PageRank sculpting was encouraged by Google? ), but succeeding because your pages are actually good enough to deserve success will never go black.